ZEKE has released the updated version of PC game “Sumico Deluxe Edition”. Enjoy! Description: Sumico is Match3 with numbers. 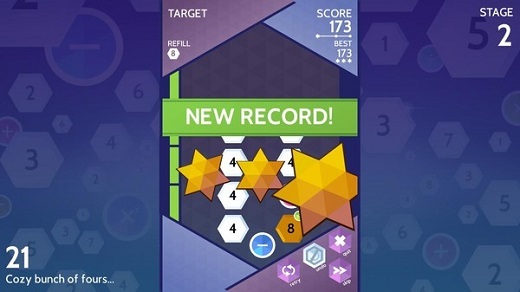 “One of the best puzzle games in years!” The press adores Sumico. And so will you. 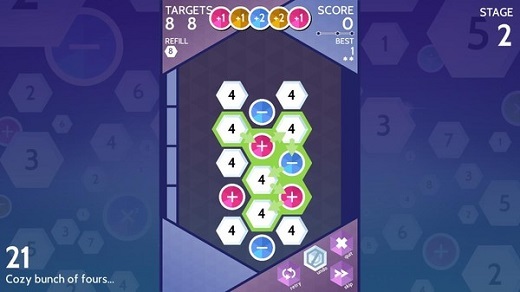 Sumico is a must-have title for fans of puzzle games! Easy to pick up, fun to play, challenging if you want it to be. Smooth graphics, nice music and most importantly: an incredibly smart puzzle. But, don’t take our word for it: many, many professional reviewers awarded Sumico a 9 out of 10. Among them are publications like Family Friendly Gaming, App4Smart, Nintendolife and Brashgames. Sumico Deluxe Edition comes with an incredible amount of gameplay. A huge campaign containing 84 handmade levels will entertain you for hours on end. For a different kind of challenge, try the Endless Mode which is, indeed, endless fun! Sumico contains an easier mode for kids and an educational mode which adheres to official mathematical rules. Great reviews by the press!